This is an enjoyable story about how both "quiet" and "noisy" activities can be fun. 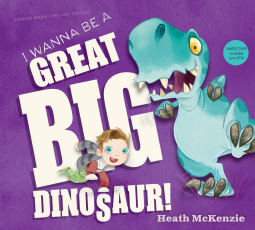 Sometimes we are like big dinosaurs, but we also like to play like little boys.The illustrations are wonderful. My favorite is the page where the dinosaur tries different types of foods. Hilarious! 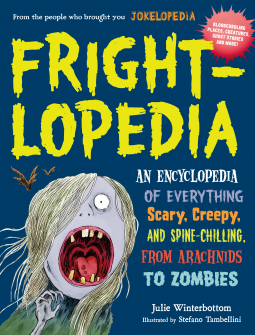 Great option for a funny reading aloud time. A dog's tale about her human's depression. Celeste has everything a dog could want: a warm bed, food, water, toys, and Rupert, who gives her lots of love and playtime. Rupert is the best. But one day Celeste notices there is "something different" about Rupert. He looks sad and tired; he doesn't eat and nearly forgets to feed Celeste; he doesn't want to play or walk her. Celeste is worried about him. Would this "something different" ever go away? Does Rupert still love her? Lily, Rupert's neighbor, who notices something is wrong with Celeste, decides to visit and see what is going on. Lily explains to Celeste the "something wrong" is called depression, and there are people who can help Rupert. She assures Celeste this is not her fault, and that Rupert still loves her. It feels good to hear that. After some time Rupert starts feeling better, and life comes slowly back to normal. 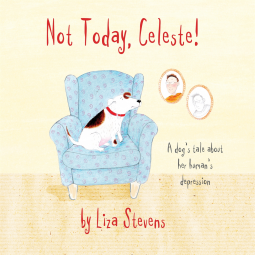 Celeste hopes the depression doesn't come back, but she knows that if it happens, she and Rupert will know what to do. 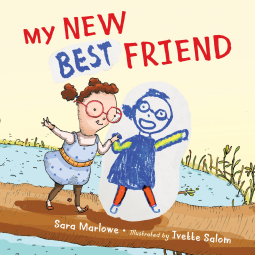 The goal of this story is to explain to kids what depression is, and to give them tools to deal with it. It's written in a way which encourage questions, and gives opportunities for kids to express how they feel and what they think. The text is easy to understand, with pretty illustrations. It also counts with a guide for adults by Dr. Pooky Knightsmith with tips on how to address the topic with kids, how take the best advantage of this resource, and some "key messages" that should be reinforced when speaking about depression. I really liked this book, and highly recommend it! 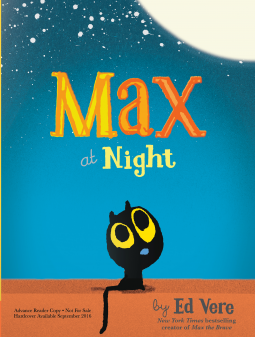 This story is really cute, and Max is an adorable character. The slow pace, and the repetitiveness of the text makes it an ideal bedtime story. 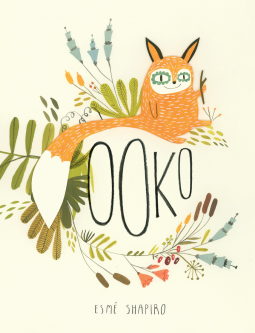 The illustrations are simple, but lovely, colorful enough without being bright, as I think a bedtime story needs to be. 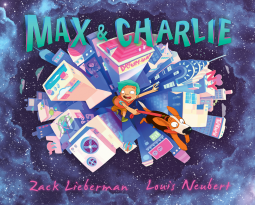 Although the book is recommended for kids 3 years old and up, I would say younger readers will enjoy it too. My 19 months old son loved it. Mom's favorite teapot is broken, and she is not happy... Who broke the teapot?! Sister is making a mess cooking pastry rolls, it's true, but she didn't touch the teapot. Brother is hanging from the ceiling fan; definitively wrong, but he didn't broke the teapot. The dog is liking the bowl; kind of gross, but he didn't even see the teapot. Kitty ruined the wool yarn tangling it; bad behavior of course, but she was too tangled to reach the teapot. Dad is still reading the news in slippers and underwear; not very helpful for sure, but he didn't come even close to the teapot. So... Who broke the teapot?! You will be surprised! 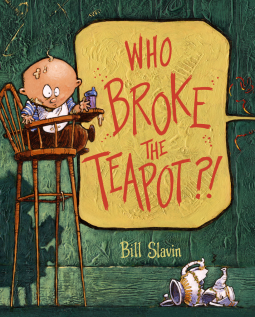 Who broke the teapot?! 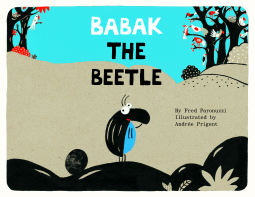 is a great example of a picture book whose illustrations tell the story as much as the text, not only accompanying it. The text is very funny, rhymed, and not extensive. The illustrations are incredibly rich both in the characters expressions, and in details such as the newspapers headlines. They vividly transmit the tension of the moment. The book made a wonderful read-aloud story and my kids asked to read it again a few times. It is a 5 stars to me.